This morning, Alex came into the living room with his treasure chest in hand. A couple of years ago, PR31 found these little cardboard chests on sale and picked one up for each of the boys to keep their own personal treasures in. You know, those things that kids value deeply and need a special place. Well, Alex announced that he had reorganized his treasure chest to make room for his recently received birthday cards. To do so, he had to take some things out. Mic drop. At least I thought that would have been the appropriate place in the discussion for it. “No, what?” I answered and asked. How perfect that he put together that he values God and so he wants to keep Him in a special place… a place reserved for the things that mean the most to him in life. You know, we each have a “treasure chest” in which we keep those things which matter most to us. 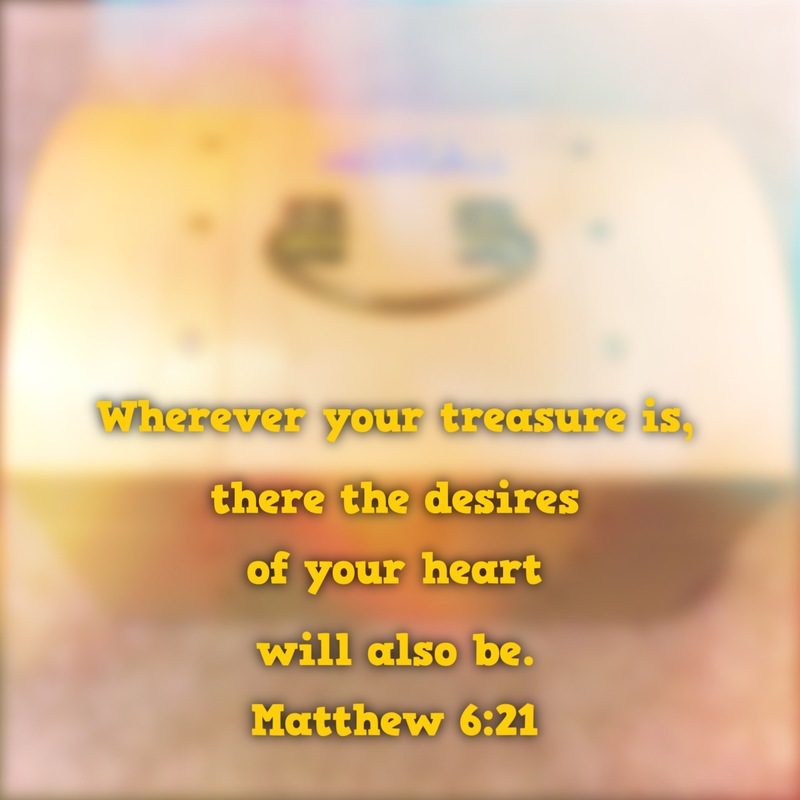 Jesus said in Matthew 6 that where our treasure is our hearts will be also. So what matters most to you? Where is your heart? Do you have a few things in your treasure chest which really aren’t the treasures you once thought they were? Do you need to clean a few things out to make room for some new treasures… things you will truly value? Before I leave you to sort through my own treasure chest today… and hopefully let you sort through yours… there is one more interesting part of the story. In his treasure chest clean-out, he found a treasure he had been looking for and thought he had lost. It doesn’t matter what it is. It was important to him. The cool thing is that… because he had put it in his treasure chest… it was there for him when he got things straightened out. My hope for each of us today is that we will take a little time to clean out our treasure chest… get rid of those things that aren’t really treasures… and make sure we include God as the most important treasure. Then who knows? Perhaps in the process we will find a long, lost treasure we’ve really missed and begin to enjoy it again.